If you’re a newbie trader planning to buy your first Bitcoin Cash (BCC or BCH), then you need to know where to start. The first step into the digital currency world is actually knowing how and where to buy to buy the currency. Digital currencies are bought online on websites known as cryptocurrency exchanges. These websites allow investors to buy, sell and exchange digital currencies such as BCH Cash. There are numerous websites out there that have started trading Bitcoin Cash, and it’s important to choose the best Bitcoin Cash exchange that will suit your requirements. This post provides several things that a newbie trader needs to look at when choosing a BCH exchange. It’s important to know what country the exchange is located because different countries have different laws and regulations. While a majority of countries have not yet implemented laws related to Bitcoin Cash, you never know where they will do. It’s typically recommended to buy BCH in your home country. If you’re a western trader, you may want to avoid countries like China because the support may not suit you because most of the Chinese don’t speak English. Also, it’s a good idea to find out about the founders of the exchange and check whether they have provided a proof of reserve or operate anonymously. You need to be careful with exchanges founded by anonymous people. BCH exchanges use a variety of payment options such as cash, credit cards, wire transfer, and PayPal. You should choose a site that uses a payment option that suits you at your convenience. The trading of digital currencies including Bitcoin Cash costs money. The exchange sites usually charge a small percentage of the total amount you’re trading. These fees can change over time and also vary from one exchange to another. You may want to choose a BCH exchange that charges reasonable trading fees. Also, check if the site charges additional fees besides the normal transaction fees. Business exchange sites are at constant risk of cyber-attack. So it’s extremely vital to choose a secure BCH exchange which you can trust with your money. Check whether the exchange is HTTP or HTTPS. Generally, sites with secure protocol must be HTTPS. Also, check whether the site offers a secure login with two-factor authentication. If not, then this is a red flag because two-step authentication prevents hackers from stealing from your account even if they got your username and password. Other characteristics of a safe BCH trading platform are PGP encrypted emails, 24/7 wallet monitoring, Email, and SMS alerts, and proof of reserve. Is the exchange site reputable? You should answer this question before choosing a BCH exchange site. Check if the site has positive customer reviews. You can get reliable info about the exchange site from your friends or family or on online BCH forums. If you find numerous complaints on a particular trading platform, it’s a smart idea to consider other options. It’s not recommended to only rely on reviews on the site’s website because most of them are cooked. When trading digital currency, you’ll need customer support some time. Excellent customer support is also important, especially for newbie traders. When you’re trading, anything could go wrong, and when it happens, reliable customer support will save you a lot. Before choosing a BCH exchange site, confirm if it supports pairs that suit your needs. When you find a site with your desired pairs, the next thing is to exchange’s liquidity for those pairs. Good liquidity is one with a high trading volume meaning that it’ll be easier and faster to complete trades. It also means that you’ll be able to sell the currency without significantly affecting the price. Reputable BCH exchanges with a large customer base will publish their order book. This is basically a list of buy and sell orders that are offered. You’ll want to choose an exchange with a high order book volume because it means that there many people using it and has high liquidity. There are quite a number of exchanges trading Bitcoin Cash today such as Binance, Coinbase, Kraken, Bitfinex, and ShapeShift. 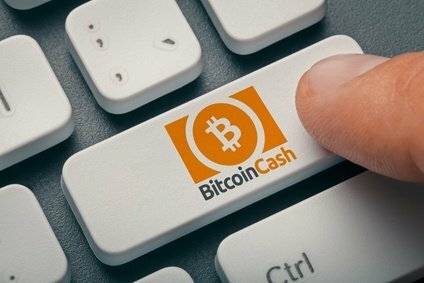 The above tips will help you choose the best Bitcoin Cash exchange site that suits your requirements. Make sure that you do deep research on internet forums or other reliable sources to see if there are issues existing customers are facing.